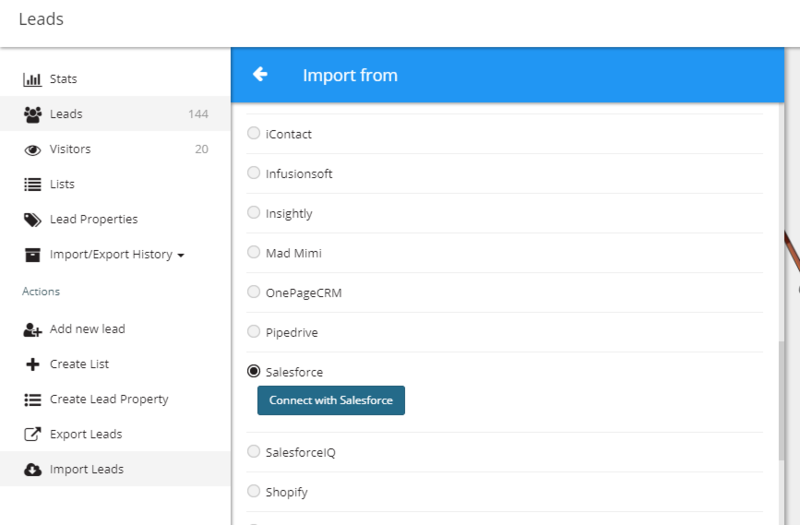 Importing your Salesforce contacts into Wishpond is simple! Just follow these step by step guide to get your leads imported. Step 8: Choose to add leads to either your “All Leads” section in the leads database or select the list you want to add them to in the drop down menu below. Step 9: Match Your Salesforce formfields with a Wishpond lead property (example: First Name = First Name). You have successfully imported your Salesforce contacts into Wishpond!